Named Philadelphia's Best Meditation Studio by Philadelphia Magazine, Vitality Meditation is your one stop shop for all things zen! From meditation to yoga to acupuncture, all are welcome to come and chill with us at Vitality! "The Perfect Place to Escape Your Stress"
Vitality Meditation is a boutique meditation studio for people looking to declutter their mind and live their best lives, sans stress. We're located in the Fishtown neighborhood of Philadelphia and offer various drop-in classes and memberships for all levels. 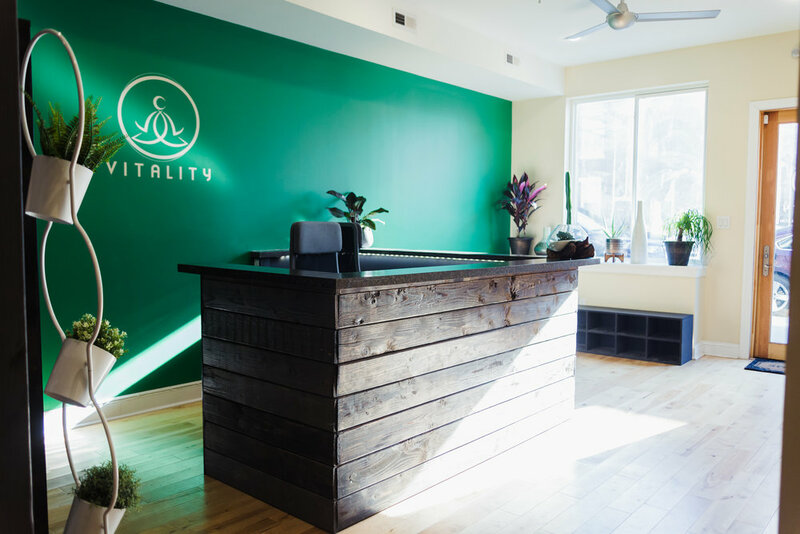 We’re happy to work with some amazing partners here at Vitality including Minority and WOC-owned Flourish Acupuncture Studio and Vibes & Vinyasa! Vitality Meditation is happy to offer not only Meditation and Yoga classes, but also Acupuncture with Flourish Acupuncture Studio. Click below to book your next class and get ready for some serious self-care. ...with our "No Stress Zone" tee! This cozy, cream-colored tee is 100% cotton and supports your favorite meditation studio, Vitality! Buy Our "No Stress Zone" Tee!